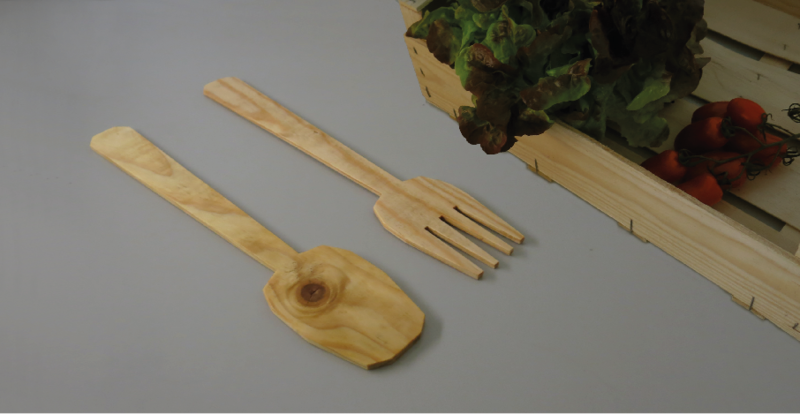 The salad server is a recycling product, made out of the flank of a throw away market vegetable box. The sides of these simple wooden baskets are the stabilising elements. 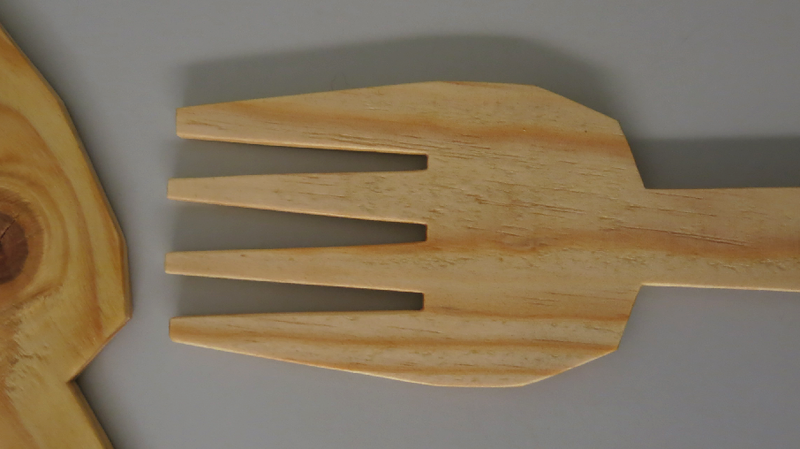 They’re made from wooden planks with an average thickness of 4mm and deliver the ideal material for a salad server. 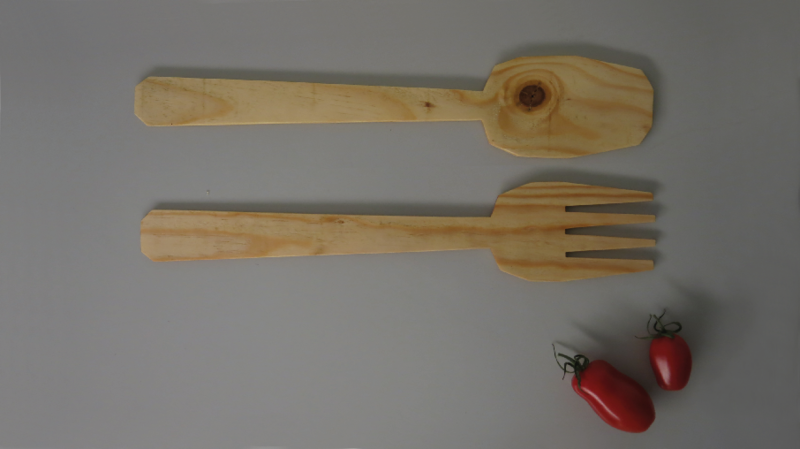 The outline of the cutlery is created of straight segments, so the individual parts can be easily stacked and then cut. 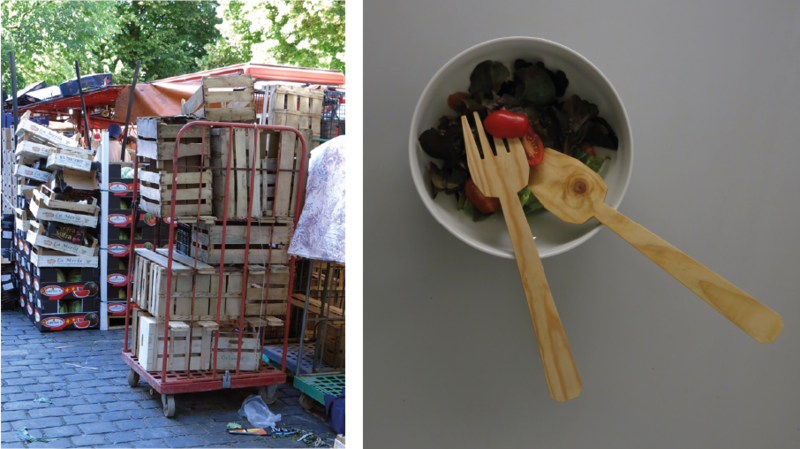 There are several street markets in Berlin, to the rear of the stands you’ll find piles of left over empty delivery boxes, which are meant to be thrown away. The market operators are more than happy to give them away.